DtsToSsis-Prepare is a command line tool that prepares a DTS package for a better migration to an SSIS package. This article describes the needs for this tool and how to use it. 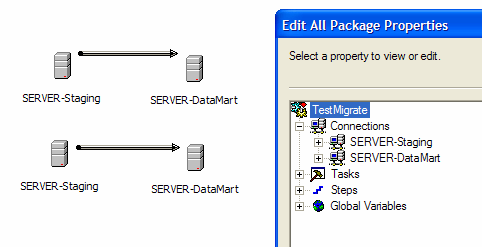 The migration of a DTS package to a SSIS package can be accomplished by the Package Migration Wizard included in SQL Server Management Studio. The wizard tries to generate an SSIS package that is functionally equivalent to the original DTS package, but when the conversion of a task is not safe, that task is persisted into the resulting SSIS package as an embedded DTS package containing only the task that can’t be migrated. Having an SSIS package composed by only embedded DTS packages (each one containing a single task) is not a desired result. Performance and maintainability become a nightmare and, for that reason, I prefer to leave a DTS package in his native form until I need to migrate and (probably) to refactor the package (may be changing parts of his behavior). When you migrate a package originally designed to move data into a Data Warehouse, chances are that you have a lot of Transform Data Tasks combined with some Execute SQL Tasks. 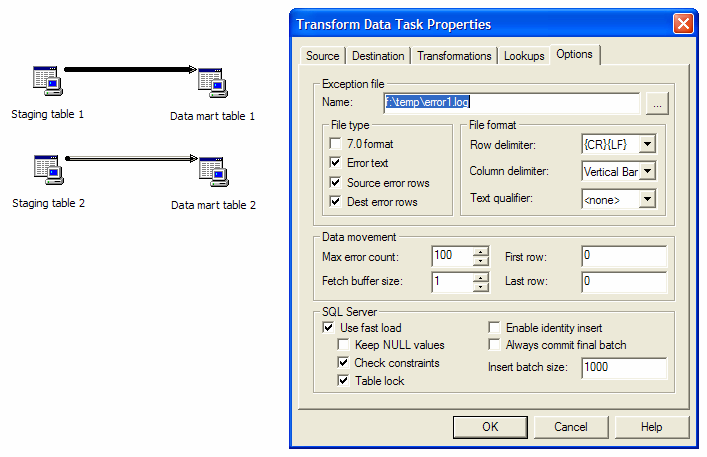 Migration Wizard easily migrates Execute SQL Tasks into native SSIS Execute SQL Tasks, but it has many limits to migrate a Transform Data Task into a native SSIS Data Flow Task. DtsToSsis-Prepare makes some modifications to the original DTS package resulting in another DTS package that has more chances to be completely migrated. 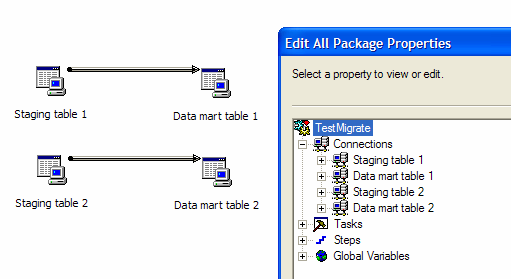 I tried to identify what settings of a Data Flow Task may block the migration, leaving the task into an embedded legacy package. Please note that “not supported” literally means that the setting is not supported by the Package Migration Wizard and if it is present then the migration will result in an embedded DTS package containing only one task (the worst case to maintain). 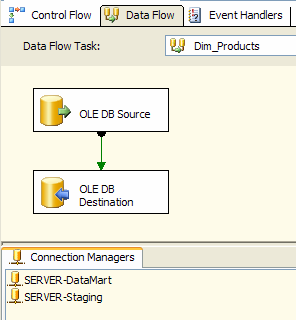 Exception file: it is lost in migration, but its functionality can be restored adding error flow handling into the Data Flow Task of a SSIS package. Max errors count: it is not supported if different than zero. Advanced transformations: ActiveX Script transformations are not supported. The target for DtsToSsis-Prepare is to automate those operations. Unfortunately, we still require a manual modification in case of presence of the “Advanced Transformation” into a Transform Data Task, because the user needs to create a design (into the resulting Data Flow) for his transformation. The following list contains all the options available.